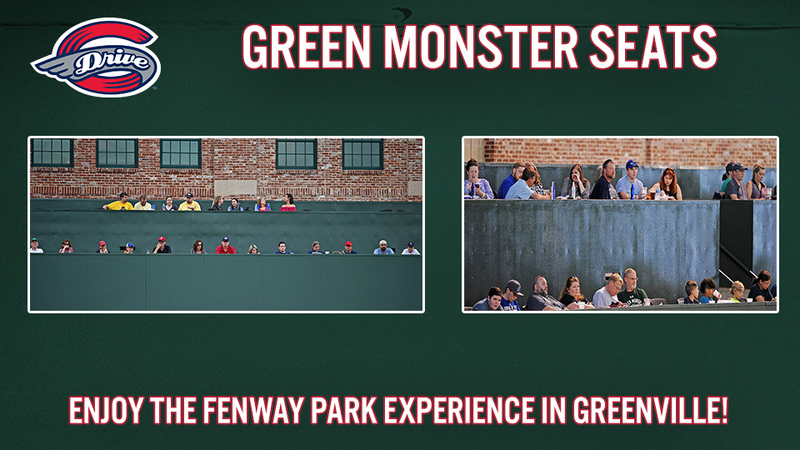 Get Your Green Monster Seats Today! 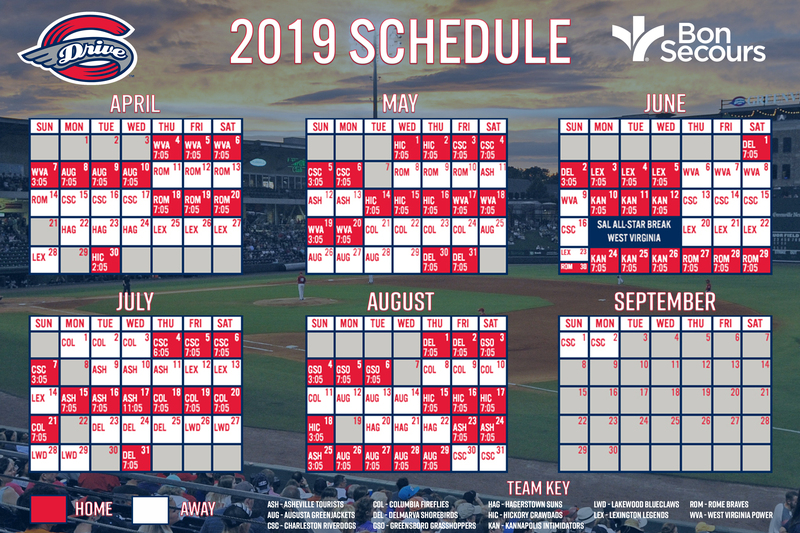 With the 2018 season at Fluor Field almost underway, you can experience Drive baseball from the best seats in the house atop the Green Monster! The Green Monster seats were among the major Fluor Field enhancement project prior to the 2017 season. With only 100 seats available, these seats go fast! Sit in the front row of the Green Monster to feel like you're right over the action, or grab your closest friends and sit in the top row at a high-top table. Tickets for the Green Monster are $16 if purchased before the day of the game, and $17 day of game. Don't miss your chance to get the Fenway Park experience in Downtown Greenville! Purchase single-game tickets for the Green Monster at the Main Street Box Office, by calling (864) 240-4528 or by CLICKING HERE.